At Humana, one way we focus on the health of employees is the 100 Day Dash. We walk together as a company on our journey toward lifelong well-being. And, we share our healthy lifestyle, inspiring others to work on their own health and well-being. 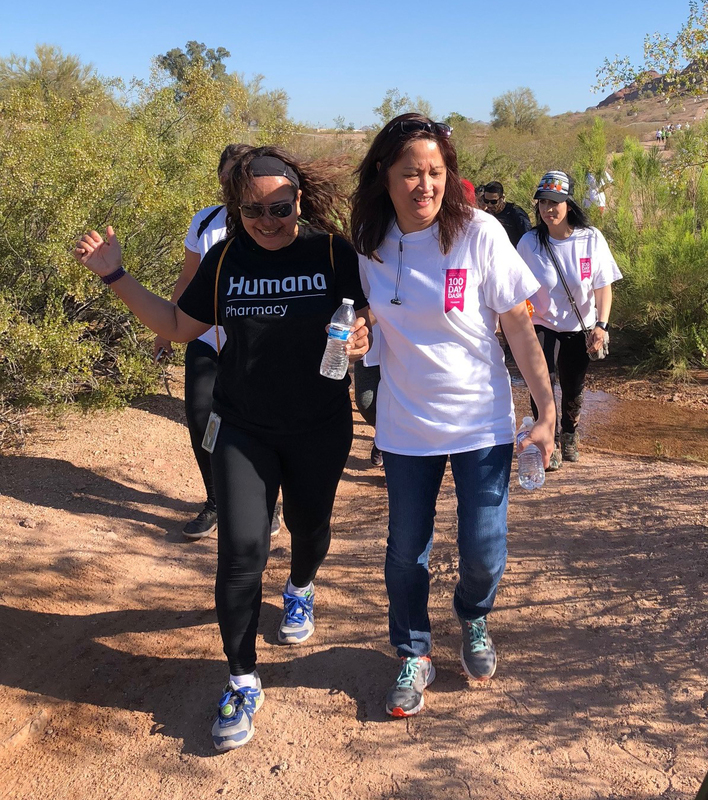 This video features employees in Arizona, walking together at Papago Park during the 100 Day Dash. Zoilabella Calo, a Phoenix Well-being Champion, and Robert Solecki, a Phoenix employee and SALUTE! NRG Ambassador, share their reasons for participating in Humana’s employee well-being programs and committing to a healthy lifestyle. We want to hear from you! What’s your healthy lifestyle? Post on social media, tagging Humana and telling us about your healthy lifestyle. And, please share this video celebrating our employees’ health and well-being.